According to this page these small Victory Medallets were given to 1 shilling subscribers of “The Nelson Centenary Memorial Fund”. This fund was run by the British and Foreign Sailor’s Society and played a large part in the Nelson centenary celebrations. 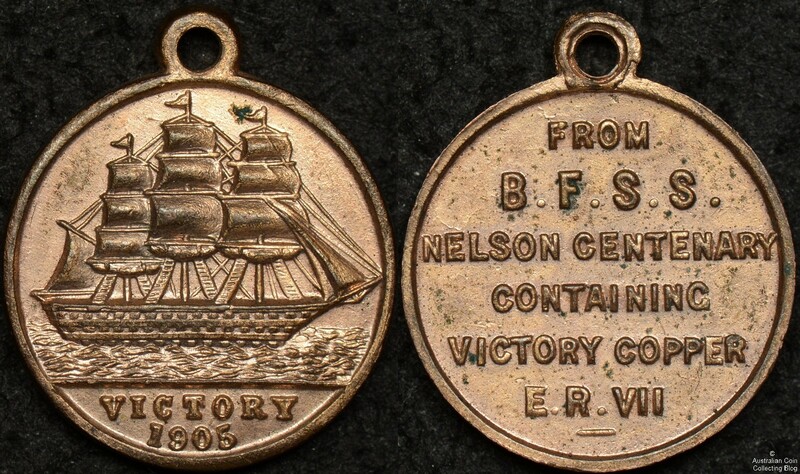 The medallet is made from copper from Nelson’s flagship ‘Victory’. This example is particularly nice and shows full original bright red copper colour.